Breakfast is undoubtedly the most important meal of the day. And, it’s advisable to head to places that whip up a breakfast that will leave your tummy and social feed satisfied. The Burrow Café in Orlem, Malad is one such place. Primarily known for its breakfast, it’s a small eatery, much like its name. With seating both outdoors and inside, it is no-nonsense and has neatly done interiors in classic shades of black and brown. Their friendly staff makes the overall experience even better. Let’s just say pancakes and maple syrup for breakfast with Nutella is a great way to start your day, especially if it’s a Monday, because #MondayBlues. They will happily club some fresh fruits. Then there are chorizo scrambled eggs (INR 150) served with Goan sausages that make for a healthy option. Other highlights of the menu are toasted caprese sandwich (INR 140), the evergreen keema pav (INR 100), and bacon wrapped prawns (INR 340). If you’re looking for elaborate and bigger eating options, try their Jabberwocky – grilled tenderloin steak wrapped in bacon served with spicy BBQ sauce, served with mashed potatoes and butter tossed vegetables for INR 320. Other than that they have a range of salad, burgers and pasta that are worth trying. For the ultimate climax, go for their baked cheesecake (INR 140), lemon tarts (INR 75), and crème brulee (INR 90). While The Burrow Café doesn’t serve alcohol, they have a varied range of teas and coffees, starting at INR 50 for a cup of chai to INR 150 for cold coffee. 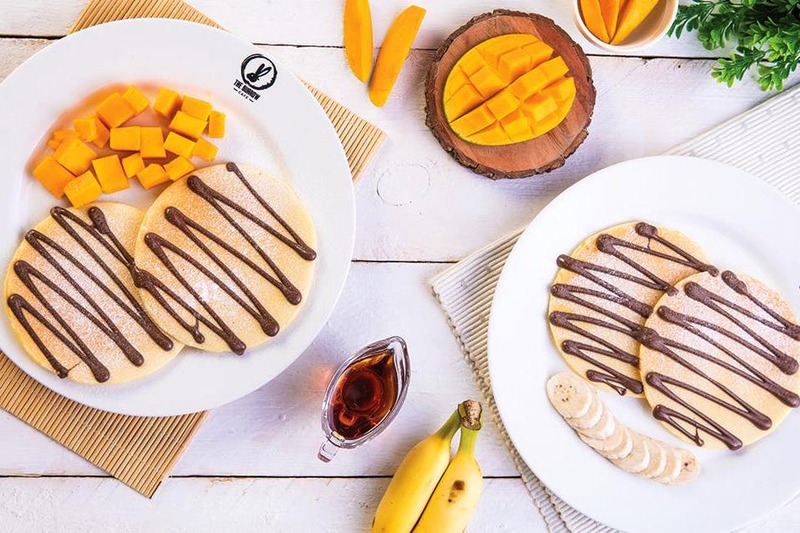 Besides the classics, they also have other concoctions like blueberry pancake breakfast smoothie (INR 240), dark chocolate and strawberry smoothie (INR 240), and mint brownie milkshake (INR 260). Next time you’re in need for some sumptuous breakfast, just head here. But make sure you have some time in hand because once here, chances are you will end up spending more time trying out their menu than expected.